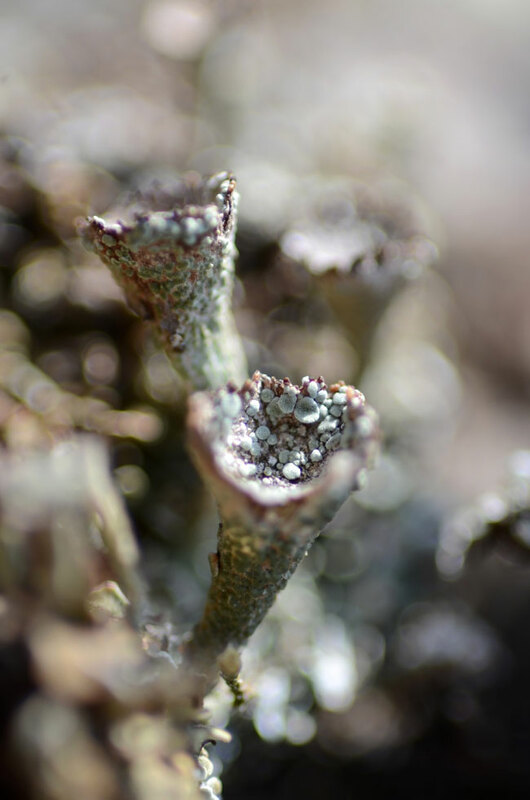 Lichens have always fascinated me, but it’s the little cup lichens that I find exceptionally intriguing. 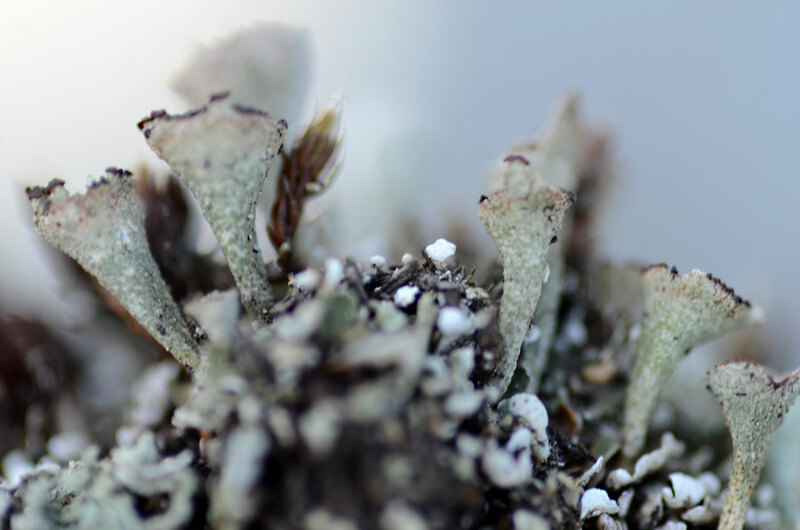 I think these ones may be Cladonia pyxidata, a pixie cup Lichen. They make for an exquisite miniature landscape, and although I didn’t see any myself, it’s not hard to imagine that a Pixie might indeed inhabit this sort of magical place. 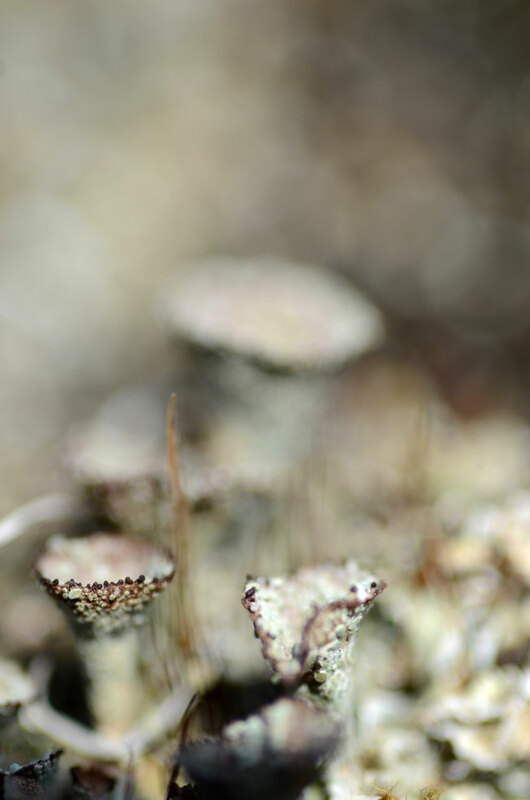 These pixie cups are growing in small beds of moss and earth tucked into a craggy rock . 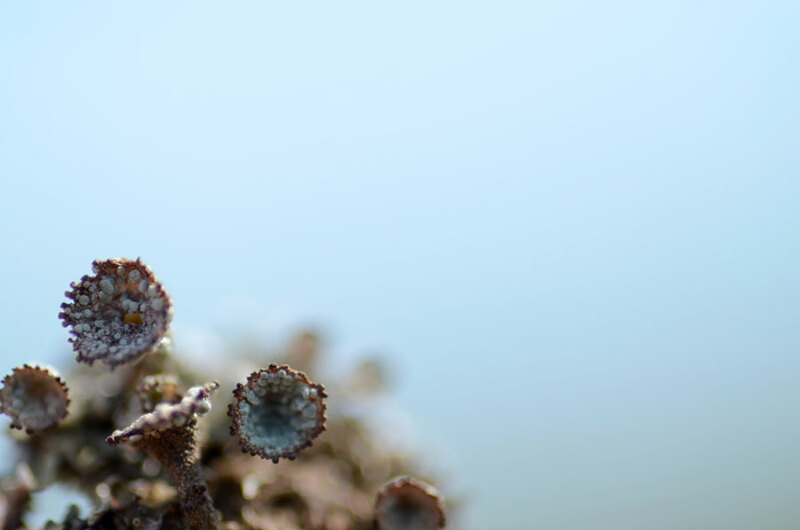 I was struck by how they look so remarkably like an underwater landscape of corals and sea anemones and the sense of this is enhanced with a very shallow depth of field. Perhaps too shallow. But I am not finished looking at this tiny world. I’m a bit enamoured with them, Helen! Isn’t it funny that I posted pictures of lichen on bark just last night. Yours are much closer and so much more detailed. I love it. I don’t think I can get that close even with my macro setting. Very much like coral, OR pixie terrain. In any case, fantastic. They are pretty cool lifeforms, aren’t they? I’m glad you find these interesting, Kathleen. 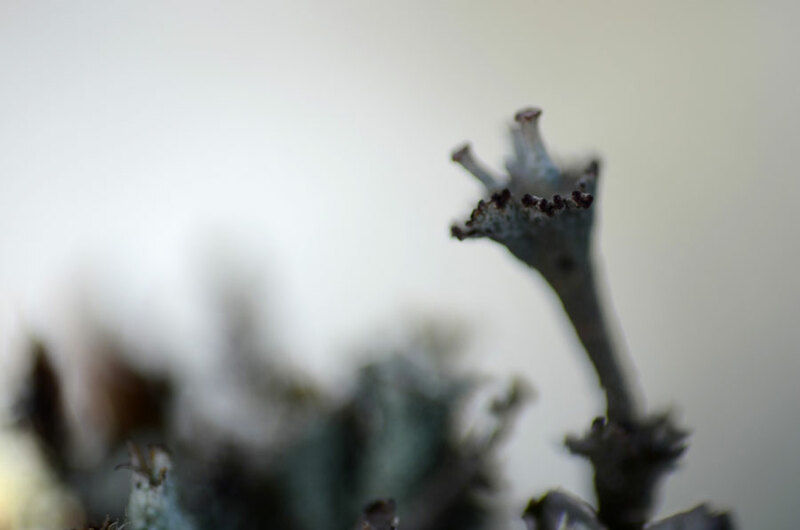 I love lichens for some reason! i love the blue background on no. 2. is that the water? The backgrounds are sky or lit-up rock, no water around. 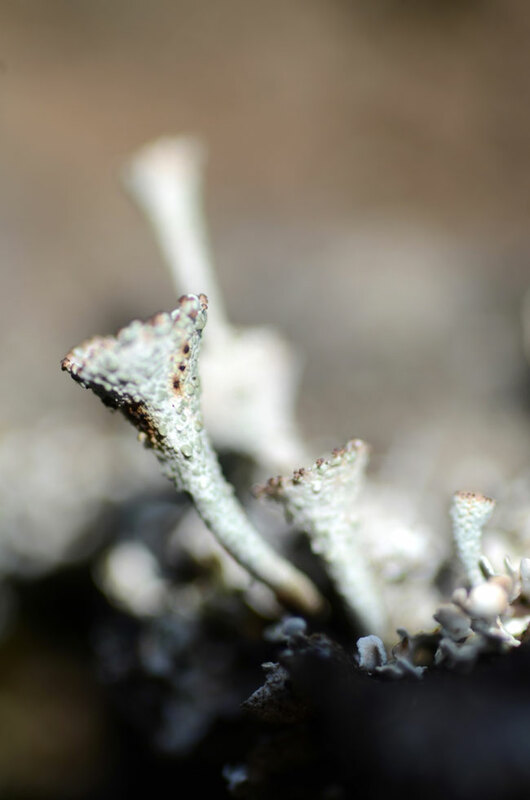 Lichens can survive in incredible drought, actually. i am very curious about how you take photos. I’d love to see a ‘behind the scenes thing’ as an amateur it would be interesting. What a wonderful miniature world, taken from a fairytale. .. I agree, Marina. they are quite fairytale like. These are so delicate and stunning! They have anthropomorphic qualities to them, much like your wrapped tree series. Love these, Karen! I think they are really cool and plan to explore them more. I hadn’t related them to the wrapped trees actually but now that you mention it, I could see the anthropomorphic correlation. 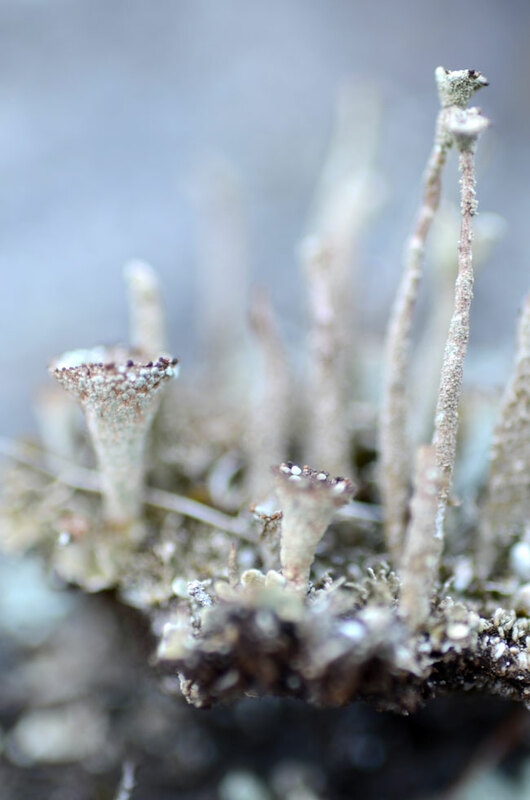 I love lichens, these are really cool looking too. I agree! Cool is the word. Magical is the perfect adjective for these! Yes, magical minute landscapes. Thank you. Wonderful, Karen! Poetic looking little things! The selective focusing you got on these shots is amazing. Thank you, Lois. I’m glad you like the selective focus, it’s interesting to play with. They are quite “pebbled” with texture, aren’t they? Thank you, Nandini. Lovely set! The atmosphere is really enigmatic and poetic…and I really like the softness you can feel through it! Symbiosis of Algae and Fungi = Lichen kept fascinates me since I was small. It looks almost between Life and Non-life. Life or mere stone Structure.? Was that just a successful tactics for survival or their last resort to survive ? = to my eyes, they are the symbol of hard life on this planet. As always, your photo captured this deep chasm “beyond the life” well. They do survive in extreme conditions! Thank you, Yoshizen. I find them very intriguing also. Close enough to hear them breathe…how beautiful, Karen…. I love your comment, Scott. Thank you. Much thanks for your comment! I love those too. Beautiful series with some excellent perspectives and fab details. Hi Inga, thank you. I find their details fascinating. You should start selling prints! 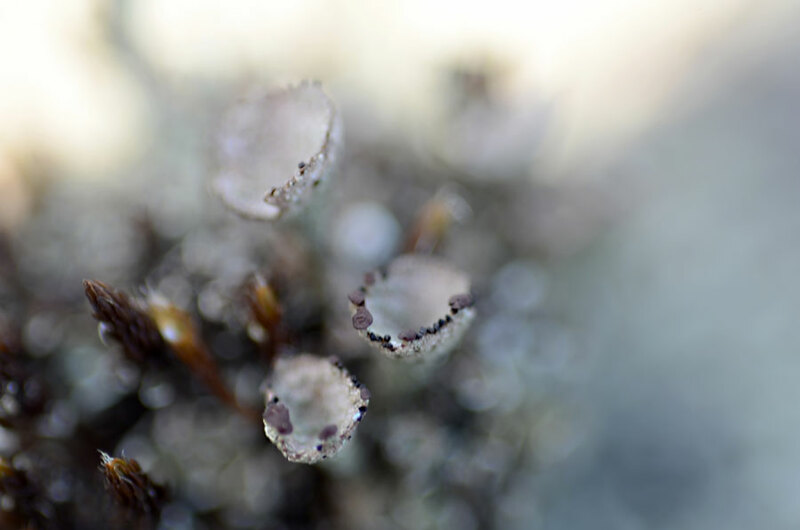 I used to study lichens on rocks and trees, as I child I even had a small compulsion to taste them. I always thought they were strangely beautiful. The tree the front yard of my boyhood home was always covered. I agree, they are strangely beautiful. They will charm you if you look closely. They are a bit surprising, aren’t they?! Thank you. I’ve been looking at a lot of your work and I like the look you are going for, with the emphasis on focus – with the lens and the atmosphere. Very nice tonal range. Thanks very much! 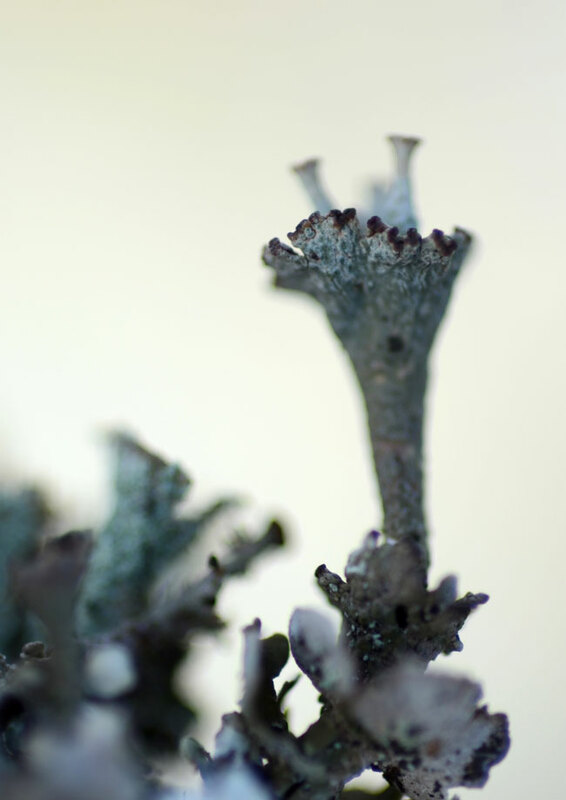 Yes, I think the tonal ranges of the lichens are really beautiful and kind of surprising.